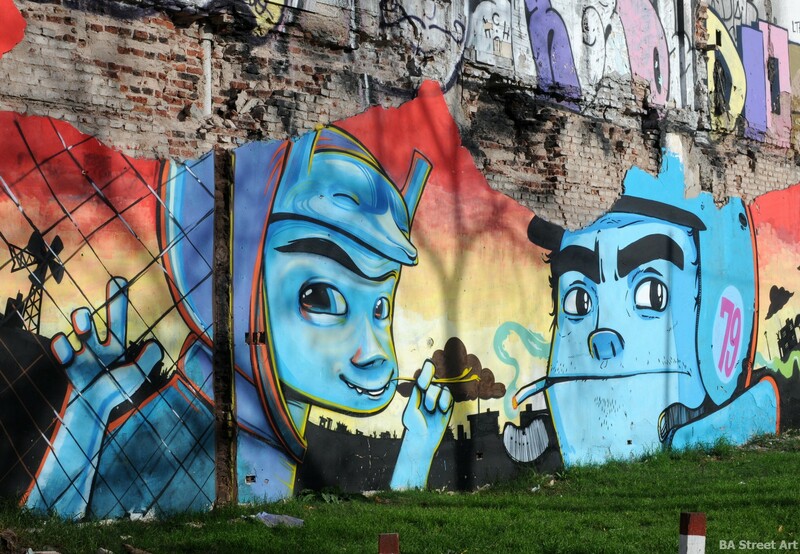 Cof and Animalito Land teamed up to paint this new collaboration in Villa Urquiza. Exclusive photos by Buenos Aires Street Art. Dame, Cabe, Cof, Marco Rebs, Lu Barr along with Martin Ron and his team were among the street artists taking part in Urban Fest at Universidad Naciónal de General Sarmiento (UNGS) yesterday. 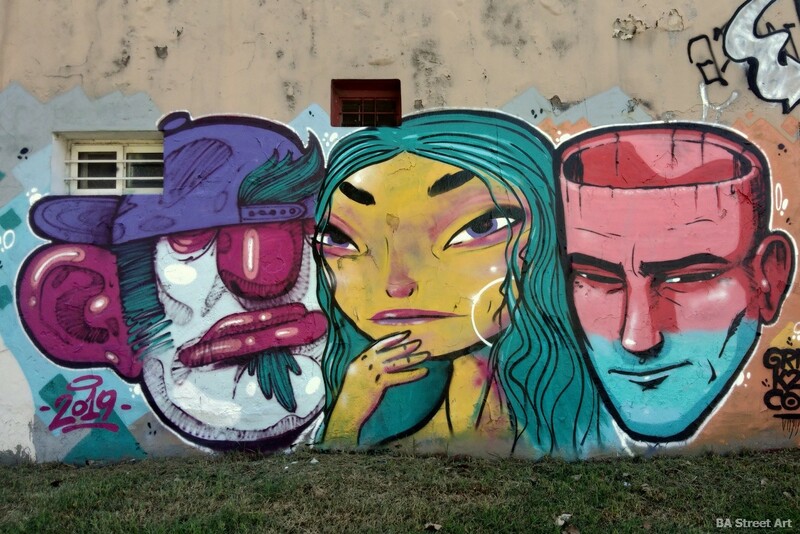 The guys painted some stunning new designs in the grounds of campus in Los Polvorines, Province of Buenos Aires. Street artists Animalito Land, Cof, Grito, Mab and Nalter finished painting a cool wall in Villa Urquiza last night that is based on a photograph taken of all five artists in the same poses. Street artists Marcos Reych, Meta, Savant, Yllo, Cof, Jakhem and Pomb completed a cool new collaboration at Chacarita railway station on Wednesday night. It features a swordsman doing battle with a man-eating plant sprouting from a magic hand. The carnivorous plant is similar to those in the sci-fi book ‘The Day of the Triffids’ by John Wyndham. Zig Zag graffiti festival took place in La Plata over the weekend and photographer Adri Godis was there for BA Street Art. Her photos and details have captured some of the spirit and artistic talent that has transformed the walls of the city with more than 260 street artists taking part in the event in the provincial capital of Buenos Aires.